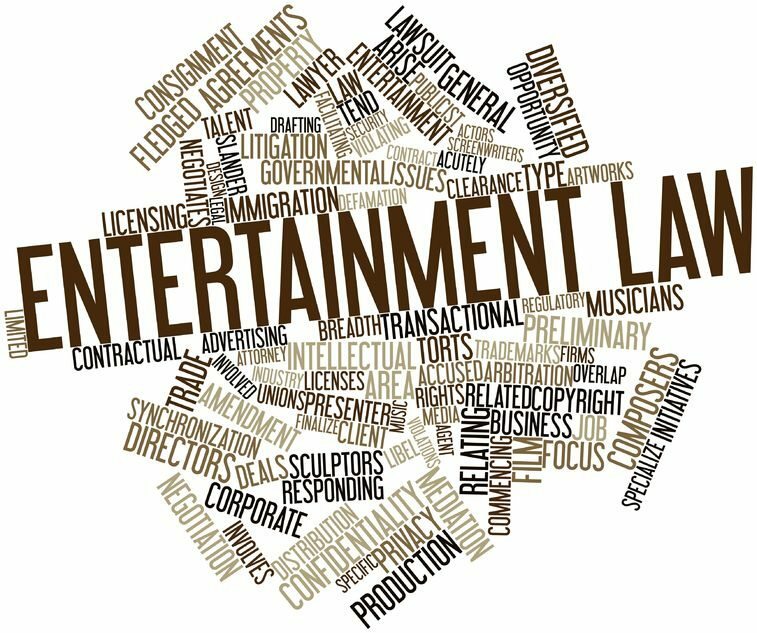 Entertainment law encompasses several areas of law applicable to celebrities, athletes, actors, musicians, models and entertainers, among others. One of the most important involves intellectual property law. IP rights come in many different forms, and “stars” (aspiring or otherwise) should know their rights. Right of Publicity (i.e. one’s right to prevent the misappropriation of her name/likeness for commercial gain). Each state has different laws related to this, with some states providing greater penalties (e.g. California and New York). When a third party, such a product or service, utilizes your name or likeness (e.g. image, voice, etc.) for endorsement or other purposes with your permission, you may have a cause of action. You may be entitled to damages, including royalties. Copyright (i.e. one’s right to prevent the unauthorized copying or reproduction of her artistic expression). While you immediately have copyright rights under common law the moment you create your original work of authorship, you may wish to secure a copyright registration. You also need to understand whether you have licensed or assigned such rights to third parties. Trademark (i.e. one’s exclusive right to her brand in order to avoid consumer confusion as to source). Whether you are selling products/services under your name or another brand you have created, you will want to pursue trademark registration, monitor against unauthorized third party use and take action as needed to maintain your trademark rights. Doing so will allow you to monetize your trademark, typically in the form of a trademark license agreement (perhaps as part of a Merchandise Licensing Agreement or otherwise). Knowing these entertainment rights will allow one to secure her intellectual property, monetize it and enforce it. Failure to do so can result in abandonment of rights. More often than not, you will be in a better position to negotiate with talent agencies and third parties if you have secured your IP and are knowledgeable about how to properly license it. Having represented athletes (including NFL players and PGA golfers), supermodels, authors, actresses, musicians (including post-mortem on behalf of family trusts), we recognize that your unique skills and talents have enabled your career, but all too often we see an inattention to the above IP rights create difficulties as you try to create additional streams of income or seek to capitalize on your legacy. Given today’s explosion into social media and the Internet’s online world, you must be mindful of unauthorized use of your digital and media rights beyond what had traditionally been print, film, music, television or theater considerations. As a celebrity or athlete, you will attract infringers and copycats, and you should know your rights.